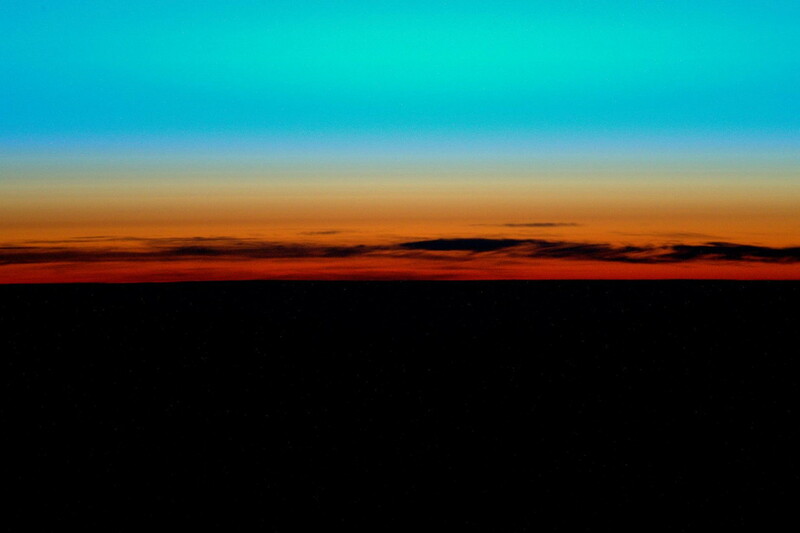 Have you ever wondered what sunrise looks like from low Earth orbit? Tim Peake has you covered. The British astronaut uploaded the photo above to Facebook an hour ago with a simple caption: “Morning sunrise from the International Space Station, taken with the 800mm lens”. That an 800mm lens was used to take the photo is somewhat significant in understanding it. Lenses with longer focal lengths are designed to zoom in on distant objects and provide an alternative perspective to more common lenses (18-200mm) and the human eye (45mm for full frame sensors). Taking a good sunset photo can be difficult, and I imagine taking one from a craft travelling at 7.66 kilometres per second is extra difficult. But had Peake missed this one, he would only have had to wait 90 minutes to see another. Peake is an astronaut and test pilot with the European Space Agency, having been selected in 2009. He started his present tour on the ISS in December and will stay in space for six months. If six months orbiting in a relatively small space sounds extreme, Peake is used to it: in 2012 he spent 12 days in a NASA research habitat 20 metres under the sea.